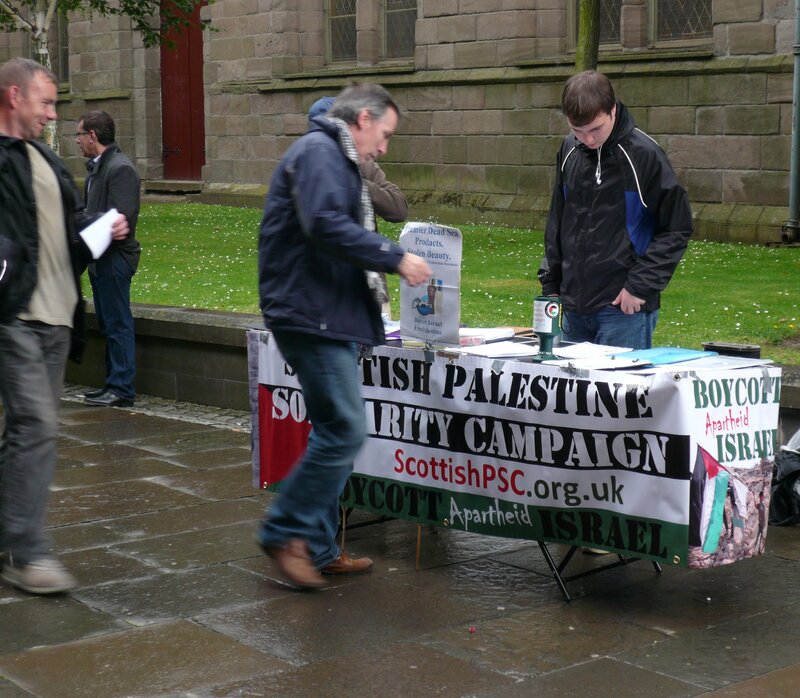 For a number of weeks activists from the Scottish Palestine Solidarity Campaign, Tayside for Justice in Palestine and others have been holding stalls related to a business in the Overgate Centre. 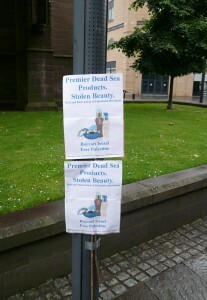 This is Premier Dead Sea Products selling products from the Dead Sea. 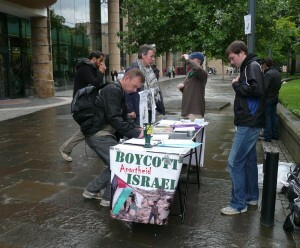 These have been successful in drawing attention to the issue. This entry was posted in Dundee and tagged Dead Sea, Dundee, Overgate. Bookmark the permalink.